Today, representatives from the Federal Emergency Management Agency (FEMA) head to Norfolk, Virginia, to talk with locals about how to best protect the United States from the impacts of flooding. They’re coming to the right place. Norfolk is extremely vulnerable to sea level rise, recurrent floods, and volatile storms, all of which will be exacerbated by climate change. In fact, the entire Hampton Roads region has been rated the area most vulnerable to climate change on the entire eastern seaboard. The listening session at Old Dominion University, part of a nationwide series, will focus on the President’s Executive Order 13690, which aims to improve the resilience of communities and federal assets by establishing a Federal Flood Risk Management Standard. The new standard will help ensure that federal agencies take into account future risks and conditions when planning and building infrastructure and other projects. As we’ve noted here before, Hampton Roads is a vital hub for our military, with 29 military sites in the region. 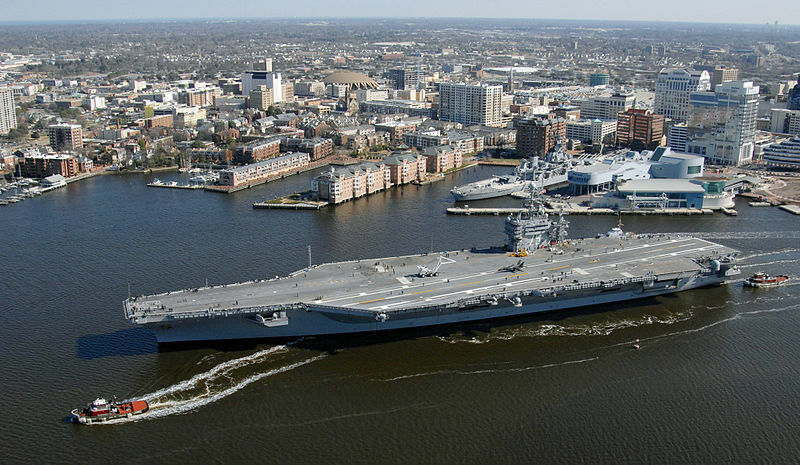 It includes the world’s largest naval base, Naval Station Norfolk, and critical shipbuilding and maintenance facilities. Many of those sites are at risk from the effects of climate change, including more frequent flooding. In fact, projections indicate that the main road to Naval Station Norfolk could be underwater as much as three hours a day by 2040. Today’s listening session is another step for the Hampton Roads Sea Level Rise Preparedness and Resilience Intergovernmental Planning Project, a remarkable consortium of local leaders committed to action. Local planning commissions, mayors, academics, the business community, and the military are all collaborating to ensure Hampton Roads is ready for the challenges it is sure to face. By Caitlin Werrell and Francesco Femia in climate and security, national security, United States on March 11, 2015 .